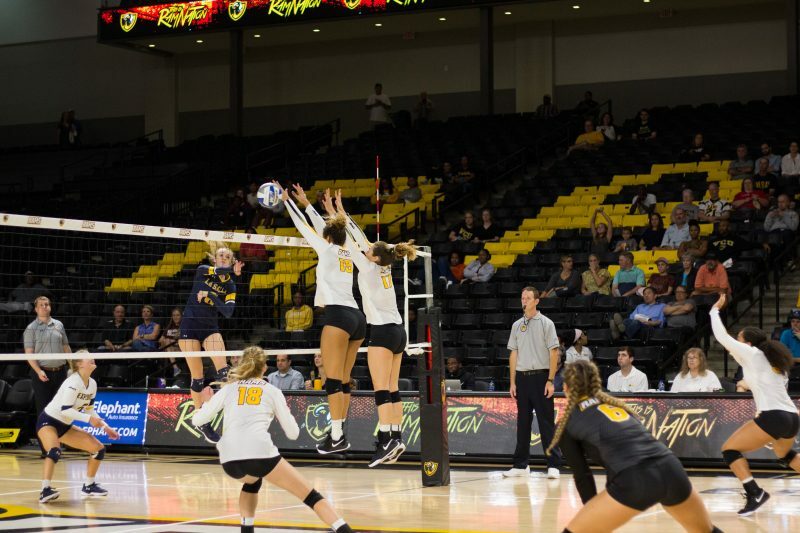 Volleyball continued to roll Friday night, defeating George Mason 3-0 at the Seigel Center. The victory extended VCU’s conference winning streak to 22 matches and its overall season winning streak to seven. 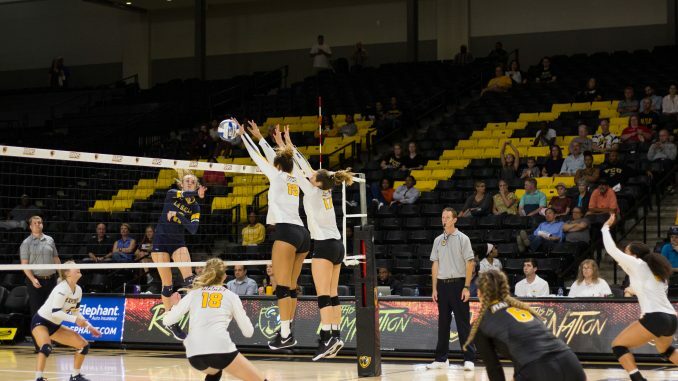 The Rams (11-7, 6-0 Atlantic-10 Conference) received an early spark after an emphatic kill by senior middle blocker Tori Baldwin and a block key block by junior middle blocker Jasmin Sneed, and jumped out to a quick 7-3 lead over George Mason (6-10, 4-2). During the first set, the Rams had three different runs of at least four points and three different players recorded at least 2 kills. Senior middle blocker Tori Baldwin. Courtesy VCU Athletics. The second set was a back and forth affair, with VCU never leading by more than two points, until a block by Sneed — VCU’s first for the set — extended the set lead to 15-12. After trading a few more points, VCU ended the set on a 7-1 run, with six points coming off of serves from setter Dejah Ard. During the second set alone VCU forced George Mason into 13 unforced errors and 31 errors in total for the match. VCU picked up the third set where it left off in the second, starting the set with a 7-1 run and never looked back. During the run, Gina Tuzzolo sparked the team with by chasing down an errant pass out of bounds to get the ball back in play the Baldwin finished off with the kill. VCU has a day off before returning to the Siegel Center court Sunday against George Washington. On Saturday though, the Rams will get a special one-on-one team visit from three-time gold medalist Misty May-Treanor.